There are so many paint choices. How do I know which one to buy? That’s a very good question and the answer may add to your confusion. However, I’ll try to explain the differences. Depending on what surface to be painted, the preparation is very important. 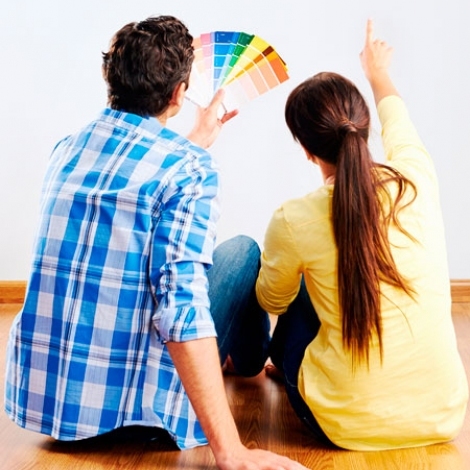 Paint prices vary a great deal. Quality is the #1 criteria and it can be costly. The prep and clean-up time can be more than the actual paint time – depending on your project. If it is a room, a weekend It “kills” the surface and stops should do it. If it is the entire marks from showing. exterior of your home, it may If you are painting over wallpaper you should apply a prime take a week. Painting is labor intensive. coat first. This will help the finish coat adhere properly and I won’t discuss colors - that’s a very personal decision. An also disguise the wallpaper pattern. important consideration is how much “wear and tear” the room Consider a gloss paint for will get. kitchens and bath areas. This Paint finishes generally fall paint is also used for trim - door into four categories - flat, satin, casing, baseboard, doors, etc. I semigloss and gloss. 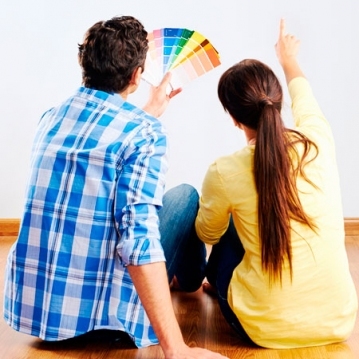 Other prefer a semigloss or satin finish names may be used - matte, eggshell, etc. They all refer to the master bedroom. in areas such as a living room or “sheen” or light reflective value. The softened look blends with Ceilings get little if any contact and a low sheen or flat paint tion will make the job much easier. the walls nicely. Proper prepara- is preferred. That doesn’t mean Clean the surfaces to be painted, you need to paint the ceiling patch and fill any holes, sand white. Walls, however, can be rough spots and old drips and treated different. A flat or low sags. Use drop cloths and keep a sheen paint hides minor imperfections, however, it does not pected drip. clean rag handy for that unex- clean as easily. Satin sheen offers Choose your paint carefully. more durability and is still quite Check the labels for coverage. forgiving. Don’t buy more than you will For a child’s room, consider a need. Keep your touch-up cans semigloss. There also is a special well sealed and in a cool and dry paint to prime over a mark that area. bleeds through the finish paint. The Favorite VasePaint Can of LifeHealth Tea Organic KitchenMonitoring Children OnlineWhat´s Underfoot?